+ machine learning, especially in robotics and games. See Field of Interest for further details and here for some publications in these fields. Beyond this he acts as a reviewer, chairman aswell as member of steering and program committees. He is a member of ACM. Professional background: Studied mathematics at the University of Essen with a focus on numerical simulation, cryptography and physics (until 2002). Dissertation (2005) in the field of computational fluid dynamics at the University of Duisburg-Essen. Until 2010 he was working in the software development department of the dSPACE GmbH in Paderborn as a technical expert and project coordinator in the field of real time simulation and physical modeling. 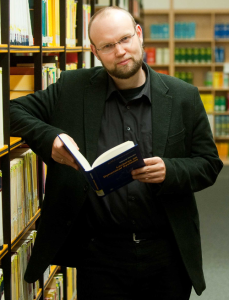 Appointment as a full professor for Applied Computer Science at the Bochum University of Applied Sciences in 2010. As vice dean (until December 2015) he - as one of the founding professors - was involved in the build-up of the new campus of the Bochum University of Applied Sciences in Heiligenhaus. Beyond this he is active in the Bergische Innovationsplattform für Künstliche Intelligenz, which promotes cooperation between scientists as well as companies in the local region. Beyond this he is active at the Inderdisciplinary Center for Machine Learning and Data Analytics in Wuppertal.